One of the nicest things Disney does for its guests is offer free transportation around the property. This is especially convenient if you’re staying in one of the many resorts. Every resort on property has busses, boats, or monorails that travel to and from the Parks and other resorts daily. Sure, there are other ways to get around on vacation, but this is something that separates Disney from the rest. Disney wants your vacation to be as relaxing and easy as possible. The free transportation makes this a reality. We’re all thinking it: “But Disney is already so expensive! I don’t want to spend more money on where I stay.” Totally valid. But Disney gets that, too. Not all of the resorts are like The Grand Floridian. 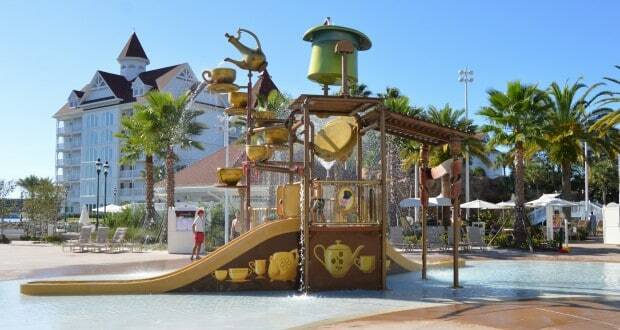 Disney offers value resorts that are great options for quality without breaking the bank. The All-Stars, Pop Century, and Art of Animation are among these value resorts and are super fun! The moderate resorts are great, too, for a bit higher quality but all the same fun. But for special occasions, the deluxe resorts are phenomenal. There’s something for everyone’s budget with these incredible hotels. It’s no secret that Disney has great food. But I think it comes as a surprise to most that some of the best food on property comes from the resorts. All of the resorts have a cafeteria type restaurant for guests staying there, but most also have moderate to upscale restaurants for everyone. These restaurants follow the theming of the resorts and help to further immerse you into that world. My family and I love to try out different ones when we can, just to get the experience of those resorts. This is also a great chance to try something completely new, like African cuisine at Jiko, or Polynesian at Ohana. These are dining experiences that are pretty hard to come by, but Disney wants to make sure their guests get to try everything! I adore holidays in the Parks and the resorts because they all get into the spirit! Each resort gets completely dressed up, especially around the Christmas season. I love how seriously the resorts take holidays. Disney is all about celebrating, so when there’s a special occasion, they go nuts. There are events, decorations, and festivities to make sure that you get the most out of these amazing times. Check out the Christmas trees in each resort come December-they’re incredible. Or what about the massive gingerbread house at the Floridian? These are little things (not literally-those trees are huge) that make me completely fall in love with the resorts, regardless of the time of year. This is why Disney resorts are the best. This is where they go completely to infinity and beyond. Every time you enter a Disney resort you are stepping into a new world. Each resort has its own personality and flavor. The detail that goes into these places is astonishing. From the magnificent lobbies to the practicality of the rooms to the luxurious outdoor spaces, everything ties together beautifully. I love the theming because it just seems to wrap you up in it. For example, it’s hard to not feel ridiculously classy while sipping tea in the Grand Floridian. Or feel like going on a safari while watching the savanna at Animal Kingdom Lodge. Staying in a Disney resort allows you to become a part of the story and feel just a little bit magical.